A journey through the geopolitical economy and urban spaces of Mexico City by way of architecture, streets, images, and symbols in Paco Ignacio Taibo II’s Sombra de la sombra (The Shadow of the Shadow). This is a bit of a tangent, but there was a recent episode of npr’s radiolab that looked at the story of a man who was bombed in and survived both Hiroshima and Nagasaki, came from an interview with the author of a recent book on the subject. 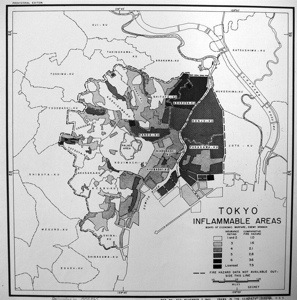 The Journal of Historical Geography 2012 prize was awarded to a paper by David Fedman on how maps can show the bombing of Japan in World War II. Full details and some striking images here. Thanks to Felix Driver for the alert. 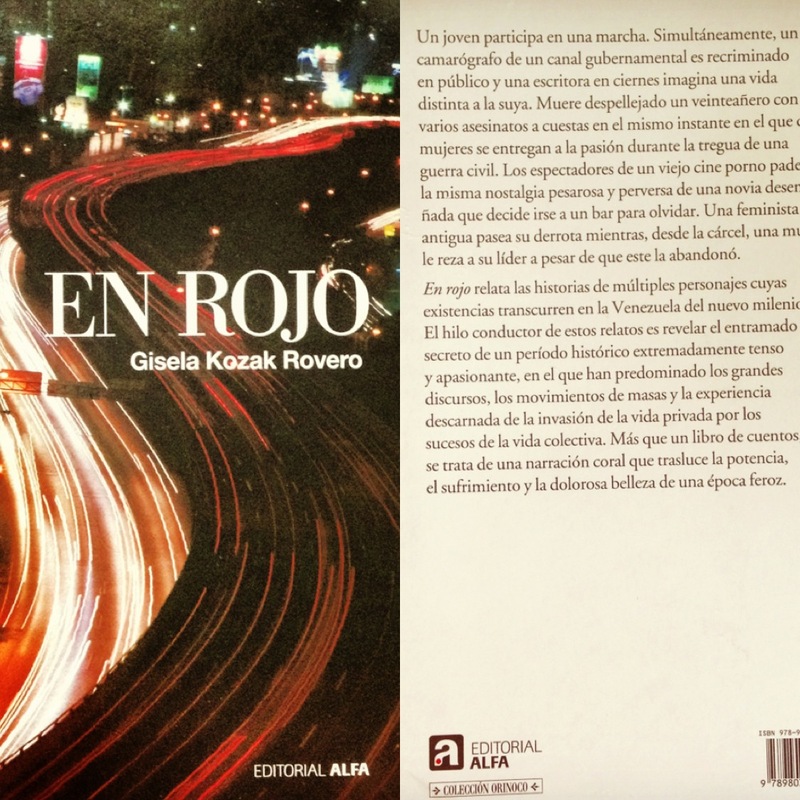 The title of Gisela Kozak’s latest collection of short stories, En rojo (In Red), is somewhat more ambiguous than those of her previous publications including Latidos de Caracas (Caracas Beats) and Pecados de la capital y otras historias (Sins From the Capital and Other Stories). Self defining as a ‘choral narration’, the collection records movements of Kozak’s native city in an atonal key, with long lapses of silence and sudden bursts of sharp shrieks. The overall sound is harsh on the ear (grating at best, unbearable at worst), though somehow works to captivate the reader, not least given the stark beauty of the prose or the human insight of its author.